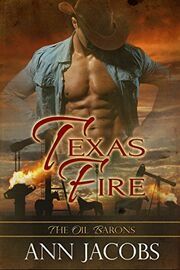 A new book in Ann Jacobs’s Oil Barons series, for anyone looking for romance as big as the Texas sky. When Kate Black was forced to choose between staying with her stubborn fiancé and caring for her ailing father, she chose to return to her father and the land where she felt most rooted. 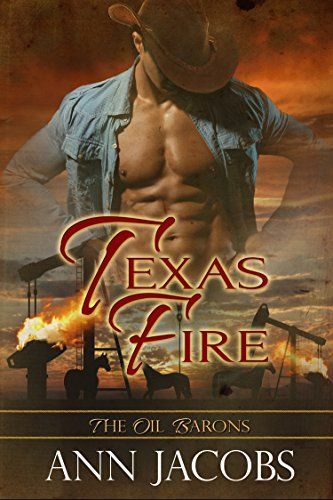 But saving her father’s land means making the difficult decision to lease it to an oil company, and the ruggedly handsome man running the operation. The one who makes her breath hitch and awakens a sensual need Kate never even knew existed. Jake Green has oil in his blood, along with a Texas-sized chip on his shoulder. Following his ex-wife’s betrayal, he swore off women and dedicated his life to growing his family’s business. But when his job leads him to Kate, he can’t deny the fiery attraction that burns between them and indulges his desires, even as he fights to protect his tortured heart. As the two surrender to an unquenchable passion and discover undeniable pleasures in each other’s arms, Kate must find a way to heal Jake’s heart—and Jake must admit to himself that a love like none he’s ever known is about to consume them completely. This is a fully revised edition of a book originally published as Firestorm.